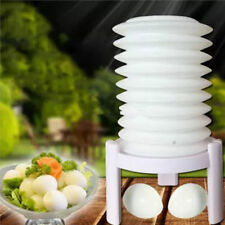 1x Removable Home Kitchen Wall Strong Suction Cup Hook Hanger Vacuum Sucker . FUNCTIONALITY MEETS STYLE ★ Our Superior Vacuum Suction Technology lets you install this hook with ease, while enhancing the beauty of your bathroom.. SIMPLE INSTALLATION STEPS ★ 1, Choose and Clean any smooth surface. 2, Fully loosen the hook counter-clockwise. 3, Apply pressure while twisting the hook clockwise until fully tight..
NO TOOLS. NO SCREWS. HASSLE-FREE INSTALLATION ★ No more ugly holes in your shower! Simply choose a smooth surface, Twist & Lock, and you're done in no time! 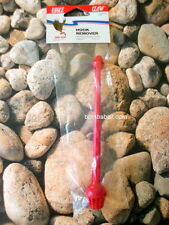 The hangers are removable and repositionable, and won't leave any marks or sticky residue!. TOP PERFORMANCE ★ Our suction cups stay unrivaled! 100% Satisfaction Guarantee or your money back! No questions asked!. CAUTION ★ Will only work on Glass, Mirrors, Porcelain tiles, Acrylic/Plastic shower inserts, Stainless steel, Quartz, Laminate, and other smooth and non-porous surfaces. --- Will NOT work on uneven and porous surfaces (MARBLE, GRANITE, CERAMIC, Fiberglass, Paint, Wood, Wallpaper, Rustic, Mosaic or Travertine tiles, etc...). 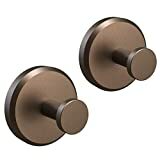 Description:This adhensive wall hooks is convenient to use,press them on any smooth surface you want.With transparent design,this remoable hooks is fit in with any color,is great for using on kitchen wall,bathroom wall,desk.Made of PVC and steel material,the transparent wall hanger is safe to use and durable.Put your small stuff on this adhesive wall hanger,save you a lot space and keep you room neat and clean.This removable hooks can be cleaned with water and reusable and won't do harm the surface when you remove them.Specification:Material:PVC back,steel hook.Color: Transparent.Size: 6*6cm.NoteThere might be a bit color distortions due to different computer resolutions.There might be a slight errors due to different hand measurement.Package included:10* adhesive hook. ? ? ? ? ?? 1.Clean the wall with a damp cloth and wait until dries completly, then wash and dry the suction up? ? ? ? ? ?2.Press the center of the suction cup strongly against the wall, then rub around the edges to remove the air.For CALIFORNIA residents only: WARNING: This product contains chemicals including DEHP, which is known to the State of California to cause cancer and birth defects or other reproductive harm.Please note that by posting this Proposition 65 warning, we are notifying you that one or more of the Proposition 65 listed chemicals may be present in a product. With Unique Bargains' products, the exposure to these chemicals may be of no significant risk to you, but out of caution, we have elected to place this warning on our site to make sure our customers are informed.You can find more infomation at http://www.oehha.ca.gov/proposition-65/about-proposition-65. 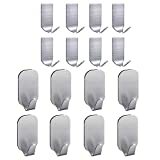 12 Pk Removable Wall Hook Bathroom Kitchen Strong Reusable Hangers Vacuum Sucker !! Hang almost anything under 5 Lbs on any sealed, non-porous surface, such as tile, wood, stainless steel, linoleum or glass with the stick up reausable hooks. Decorate, get organized with these versatile hooks in your home, bathroom, office, o work space. Stickup reusable hooks used advanced micro-suction technology to hold just about anything with no nailing, no screwing and no mess. This listing is for 12 piece clear hook set (1 Pack), includes: * 6 Pc large hooks 4" x 4" * 6 Pc medium hooks 3" x 3"
Clear the clutter while adding rustic flair to your kitchen with the Danya B. FHB2605 Rustic Hanging Utensil Caddy with Hooks and Removable Tin Buckets. Unfinished elements and the incorporation of outdoor accessories create a utensil rack that is not only functional but offers an eye-catching design statement. The ladder-back base frame holds three distressed white tin buckets for your kitchen utensils and various flatware, while five hanging hooks are also provided at the bottom for the storage and display of cooking utensils, drying cloths, or mittens. STRONG & HEAVY DUTY ADHESIVE HANGERS - Quality stainless steel + PVC material. Super waterproof and oilproof, high and low temperature resistance. Up to 22 lbs per transparent hook on wall & ceiling. As the package may be squeezed in transit, there may be some marks on the sticky plate, which does not affect usage effect.. PERFECT STYLISH APPEARANCE - Unique transparent design makes sticky wall hooks almost invisible which is quite suitable for nice home decoration. Size: 62mm(L) * 62mm(W). EASY TO USE - Just peel off the cover starting from the bulge, then put the adhesive hook on smooth surface. Easy to clean and reposition without surface damage. It won't damage your walls, no need to nail and drill.. 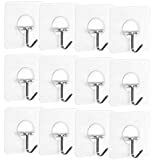 SUITABLE FOR ALL KINDS OF SCENES - These heavy duty adhesive hooks are great for hanging shower and bath accessories in a bathroom or kitchen utensils and tools on a tile backsplash. Works on a variety of surfaces, like wood, tile, ceramic ,metal surface and more. (Please pay attention that there are limits on painted walls, it may damage the wall if the paint wall adhesion is poor.). RISK FREE GUARANTEED - Quality guarantee and 5-star customer service. 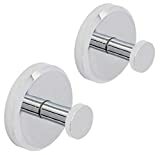 If you are not 100% completely satisfied with your sticky wall hooks, simply let us know and you will be offered a FULL refund or replacement..
Korlon 22lb/10kg(Max) Heavy Duty Adhesive Wall Hooks Removable Transparent Sticky Wall Hangers Waterproof Reusable Wall Hook for Bathroom & Kitchen (Set of 12)Specifications:Material: PET + PVC + PS materialColor: TransparentPacking Type: 12 pcs / setHow to use:1. Clean the surface from oil/dust/water. Do keep dry before put the hook on.2. Peel off the cover starting from the bulge.3. Press the basic of the hook to contact steady from middle to edge.Make sure the basic of the hook contact with the wall totally.4. Test the hook by your hand. It will be stronger to hold heavy things in hours.How to remove:Use the hair dryer heating it, then press and hold the prominent position of the basic to remove the hook slowly. No Traces will left. * As the package may be squeezed in transit, there may be some marks on the sticky plate, which does not affect usage effect. *Notice:1. please clean the surface from oil/dust/water.2. It's suitable for surfaces like ceramic, glass, metal, plastic and wood etc.3. Painted wall and rough surfaces are not advised.4. Do not stick to wallpaper surface, poor wall surface, rough surface or painted surface.5. Max weight is 22 lb.please do not hang overweight,valuable or fragile products.6. Please wait 24 hours before attaching anything to these hooks.About Korlon:We promise to offer good quality products to make you satisfied. We make every effort to provide quality services. Please contact our customer service if there's any question. Not satisfied? Please don't worry, return of goods is 100% guaranteed. 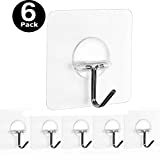 ❤ PRODECT ADVANTAGES ❤ Each package contains 6 Bathroom kitchen ceiling wall robe hooks, Up to 17.6lb per hook on wall & ceiling, The hook is adjustable at 90 degrees hang horizontally and hang vertically. Waterproof and oilproof, Extreme temperature resistance..
❤ TRANSPARANT INVISIBLE DESIGN ❤ Unique transparent design makes it almost invisible which is quite suitable for nice home decoration. 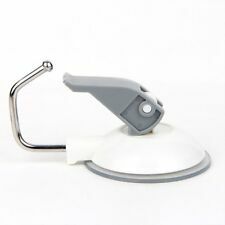 ❤ EASY TO USE ❤ Just peel off the cover starting from the bulge, then put the hook on smooth surface. Easy to paste and won't damage your walls, no need to nail and drill. 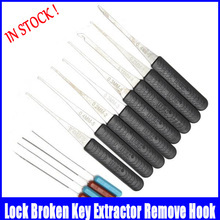 Easy to remove without surface damage,Can be utilized repeatedly after cleaning and dry..
❤ STABLE AND DURABLE ❤ Solid stainless steel and PC construction, ensuring quality and longevity..
❤ WIDE APPLICATION ❤ Widely used on a variety of surfaces, like Wood, Tile, Ceramic ,Metal, Plastic Surface and more (please pay attention that there are limits on painted walls)，especially great for hanging shower or bath accessories in a bathroom or kitchen utensils and tools on a tile backsplash..
Color:Transparent Material:Quality stainless steel + PVC material Package Quantity:1 set 6 hooks FAMOY wall hook features ❤ FAMOY hook can carry up to 17.6lbs / 8kgs on upright smooth surface. 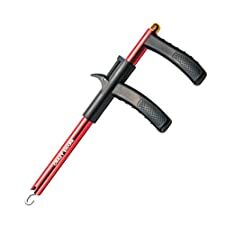 ❤ The sticking body of the hook is larger than the base frame of the hook, and this makes it stronger, more stable and more flexible than other normal hooks. ❤ FAMOY hook is also waterproof and oilproof with temperature resistance.It will leave no scratch or dent on surface when you tear it off from the wall. ❤ What's more, the hook itself can be flipped up and down! That means it can be applied on any angle of smooth surface, even on the ceiling! FAMOY always consider more for you! How to use? 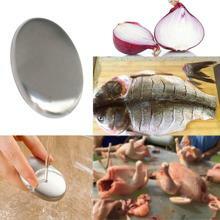 1.Clean the surface from oil/dust/water.Do keep dry before put the hook on. 2.Peel off the cover starting from the bulge. 3.Press the basic of the hook to contact steady from middle to edge.Make sure the basic of the hook contact with the wall totally. 4.Test the hook by your hand.It will be Stronger to hold heavy things in hours. How to remove? Use the hair dryer heating it, then press and hold the prominent position of the basic to remove the hook slowly. No Traces will left. Notice 1.please clean the suface from oil/dust/water. 2.It's suitable for surfaces like ceramic,glass,metL,Pstic and wood etc. 3.Painted wall and rough surfaces are not advised. 4.Max weight is 17.6 lb.please do not hang overweight,valuable or fragile products. 5.Please wait 24 hours before attaching anything to these hooks. Product Warranty FAMOY brand always try best to provide fashion and necessary products for your daily life! High Quality is our guarantee! BEST HOOKS FOR Christmas Decorating- Great for hanging Christmas Banner, LED String Light, 3D Snowflake Decorations, Christmas Ball, Christmas Stocking, Christmas Garland, Christmas Ribbon & Bows, Pine Garland, Christmas Bells Decor and kinds of party and holiday decoratios. 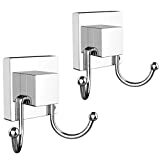 STURDY AND MORDERN LOOKING-Stylish silver hooks, beautiful and fashionable, compatible with any other modern designed home decor.Rust and corrosion resistant for your bedroom, bathroom, kitchen and office.Save space and keep it clean. Best for jackets,coat,necklaces,bathrobes,bath towels,loofahs,bag, hats, scarves, keys, purses,soup ladles, spatula, dog leash,soap scrubs..
WATERPROOF STAINLESS STEEL DESIGN - Ensuring quality and longevity,do not need to worry about the hook will fall off or rust after suffering the water. Designed to hold a wide variety of items such as coats, hats, handbags, umbrellas, towels or robes, etc.. WIDELY APPLICATION- Stylish, Functional and Modern Design, stainless steel finish ensuring durability and dependability, designed to hold a wide variety of items, ideal for foyers, hallways, bathrooms, kitchen, bedrooms, closets, living room, toilet, office, showrooms, supermarkets, etc.Save your spacce and keep your room tidy and clean..
STRONG ADHESIVE HOOKS- Premium quality, wall mounted and made from waterproof brushed 304 stainless steel and Ultra Strong pre-taped adhesive for the small bear weight up to 5lb (small) and 8lb (big) without damage to the wall, never worry to fall off or rust. Adhesive Hooks, FOTYRIG High Powerful Hanger 304 Stainless Steel Self Adhesive Hooks Waterproof, Strong & Durable (Max Load up to 6Lbs), Pack of 10 Features : - self-adhesive: Sticky backing is a strong adhesive product, strong adhesiveness and protect against water - All metal: Constructed by stainless steel, ensuring quality and longevity - Brushed finish: Hand polished stainless steel finish, build to resist daily scratched, corrosions and tarnishing - Beautiful: Perfect if you need elegant, modern and simple looks Specifications: - Material: Type 304 stainless steel - Self-adhesive: By self-adhesive - Finish: Brushed Finish - Dimensions: 45mm x 70mm x 27mm Package Includes: 10pcs Ultra Strong Self Adhesive 304 Stainless Steel Wall Hooks Notes: - Please ONLY apply to clean and dry surface (powder wall is not fit) - Put pressure hardly on it when apply - Wait at least 12 hours before hanging something - Please keep in mind dont get it wet within a few days after pasting 100% Satisfaction Guarantee! Our main focus it to keep our customers happy. We believe strongly in our product which is why we are offering a market leading 100% satisfaction guarantee. we are proud to offer high quality products at extremely reasonable prices. Every item is guaranteed to surpass your expectations. If you are not 100% satisfied contact us to return your product and we will offer a full refund or exchange!